Successfully Added KS1 Android TV Media Player + Soundbar - Android 5.1, 4Kx2K, Wi-Fi, Bluetooth, KODI 16.0, 70W Audio Output, DVB-T2 (Grey) to your Shopping Cart. Get a complete home entertainment system upgrade with the KS1 Android TV box, sporting 4K resolution and high-powered Bluetooth speakers. Add smart functionality to your TV set with Android 5.1 interface. The KS1 TV box comes with everything needed for a complete TV upgraded: starting from the intuitive Android interface all the way to built-in speakers for pumping up the sound. Android 5.1 will look great on your large screen and comes with Play Store access for more fun apps. The new OS comes with lots of great improvements, including Screen Pinning and Smart Lock — and you will be able to make full use of them on your large screen TV. What's more, you will have Kodi 16.0 preinstalled — and that means loads of free media content from Kodi repositories. Backed by the powerful Amlogic S905 Quad-core 64-bit processor with 1GB of RAM and Mali-450 GPU, the TV box runs like the wind and there will be loads of things you will be able to do. 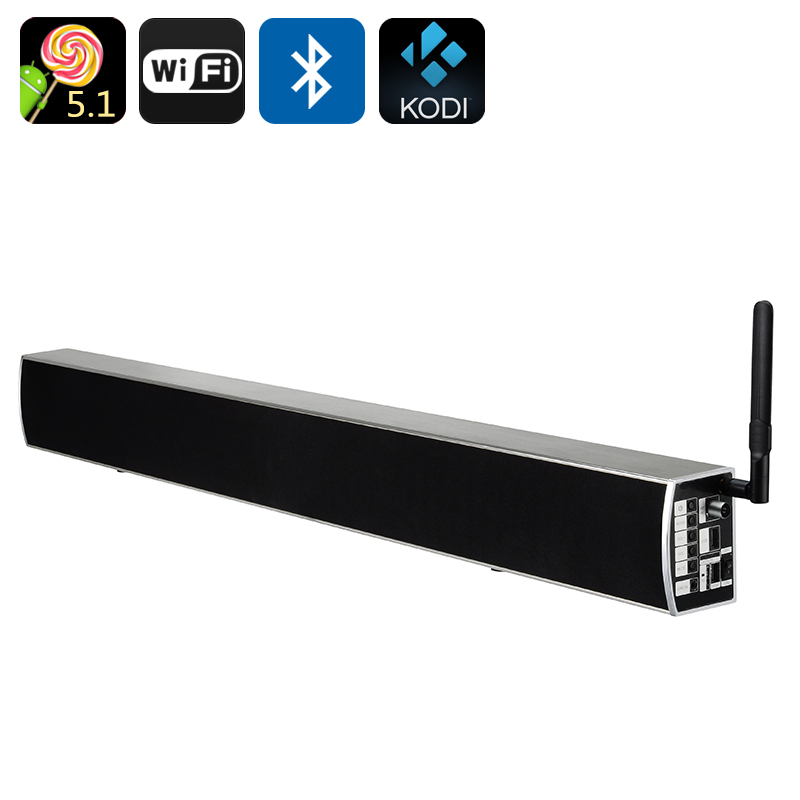 The best part about the KS1 TV box and also what makes it stand out from the rest of the offers on the market are the full range 2.5 inch speakers. They turn this mini TV accessory into a powerful machine that can turn your TV into a home movie theatre. Another great feature is that the Android 5.1 TV box conforms with the DVB-T2 television standard. This means, you will be able to receive transmissions from your local and national TV channels.